Recently, a local school group got in contact regarding an AES funded competition they were entering to develop a proposal for a sustainability-themed initiative, the winner would receive £4,000 funding to develop their ideas. Part of the criteria was that the pupils had to work in partnership with a business so ‘The Economical Environmentalists’ from Carrickfergus College got in touch with me to help out. I thought it was a great project so met up with them to develop the ideas & plan. 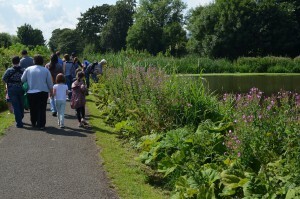 The site we chose for development was the Mill Ponds, Carrickfergus as as the group were keen to develop a central area so as many people as possible could enjoy/learn from the initiative. The ideas included: bird boxes,& bat boxes, insect hotel, sensory garden and signage to educate the public on biodiversity in the area and how their initiatives are improving biodiversity. 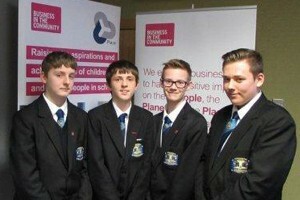 I’m pleased to say the group won the competition so we will be starting work on site soon! I’m also currently in the middle of applying for Local Nature Reserve status for the Mill Ponds. LNRs are areas where nature and wildlife is protected and where people can visit and enjoy contact with the natural world. The Mill Ponds is 3 hectares of land which is rich in biodiversity including a large pond, wetlands area, mature trees, species rich hedgerows and grassland. This area is regularly used by casual users, walkers, naturalists and school groups for education and outdoor recreation. 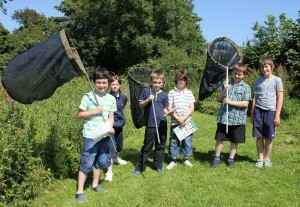 I’ve used the site myself for pond dipping and bug hunt activities with local groups. The Mill Ponds form part of the rich and varied industrial heritage of Carrickfergus and the site also lies within a significant green corridor connecting the coast with Bashfordsland Wood/Oakfield Glen and the countryside beyond. A wide range of important species of flora and fauna can be found on this site, for example, kingfisher (feeding along the river), snipe (roosting/feeding in marsh) and grey wagtail (a pair nesting at the stream outflow). The ponds contain a number of invertebrate species including the notable lake orb mussel which is red-listed in Ireland as Vulnerable (VU). 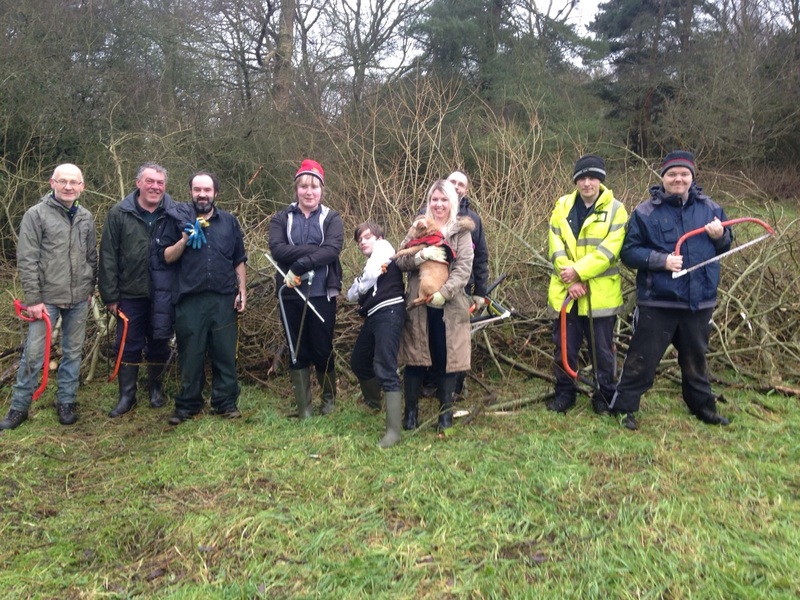 Sites protected with LNR status benefit both the local community and local species. A good LNR should make a contribution to conservation, environmental education, community involvement and enjoyment – which the Mill Ponds definitely do. I’ve also just completed management plans and applications for Green Flag status for two of our sites – Bashfordslands Wood, Carrickfergus and Jubilee Wood, Whitehead. A Green Flag Award is the benchmark of a quality green space and guarantees the space is welcoming, clean, safe and is managed sustainably for the conservation of the natural environment and heritage. And I’ve just entered another one of our sites – Beach Road Nature Reserve – into the Grow Wild flagship site competition. So, I’ve been in the office doing paperwork for most of January! But I have actually quite enjoyed the process as I love these sites and am keen to promote them. 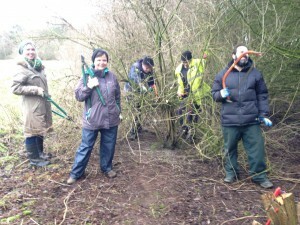 But, of course, I did get out for some fresh air on practical days including some coppicing!